When Sunday rolls around each week I can’t help but want to heat up my oven. I don’t know if it is the relaxed pace of my morning, not wolfing down cold toast and burning coffee on my way to work. Maybe it is the allure of eating something delicious in my jammies. Either way I love to find new recipes to try out or old reliable ones to make. My scone recipe is nothing fancy but it tastes delectable. This time I folded in some fresh blueberries to enhance the recipe. I have made it with cinnamon chips, dried fruit and nuts, chocolate chips or just plain. 1. 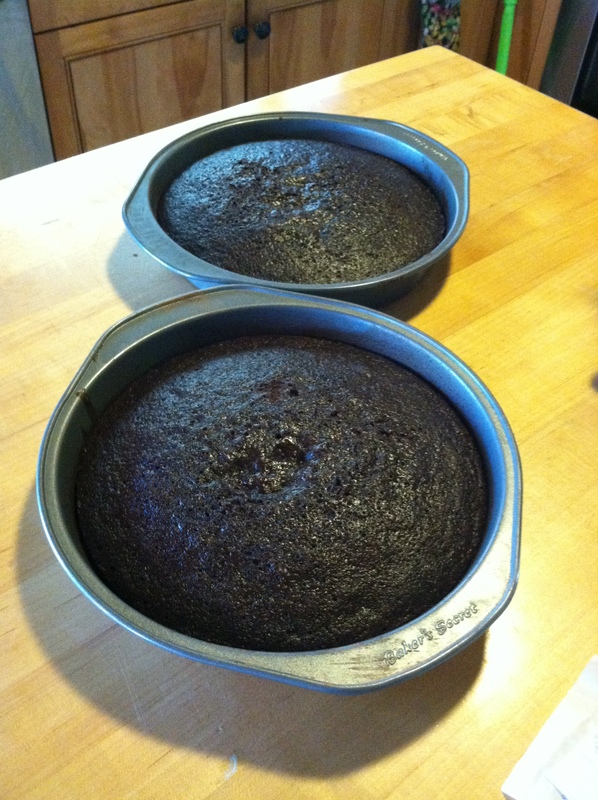 Combine flour , 3T sugar, baking powder and 1/4 tsp salt. Cut in butter with pastry blender, if desired add dried fruit, nuts, chips (if using fresh fruit, see next step). Combine 1/2 cup half and half and egg in separate bowl and add fresh fruit if using. Add wet mixture to dry mixture, stir just until moistened. 2. Turn dough onto lightly floured surface, knead 12-15 times, until nearly smooth. Pat or lightly roll into a circle with 1/2 inch thickness, cut into 6-8 triangles (like a pizza). 3. 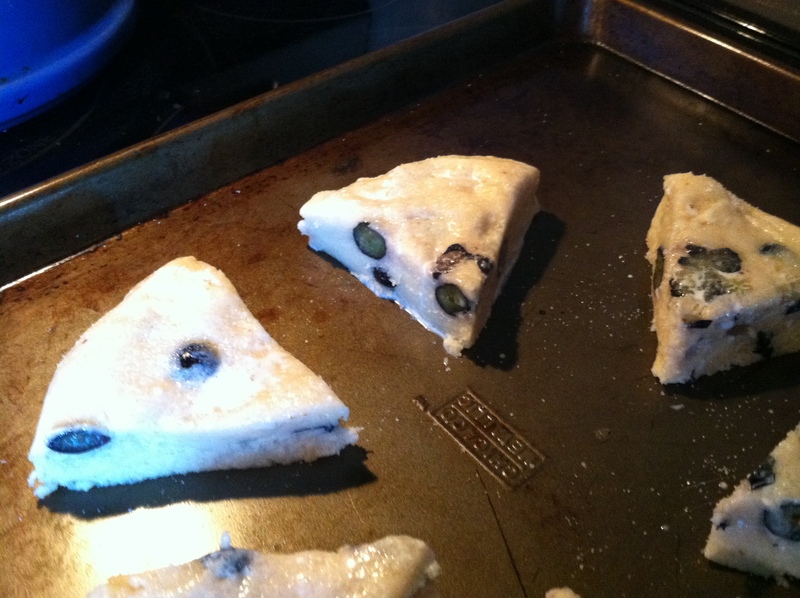 Place scones 1 inch apart on ungreased baking sheet. Brush tops with 1 Tablespoon of half and half mixed with 2 teaspoons of sugar, using pastry brush. Bake in 400 degree oven for 12-15 minutes, or till golden. Remove from baking sheet, cool 5 mins and serve warm. Slice down the middle, like a sub roll, and spread butter, jam or whatever you like inside the two halves, and manga! 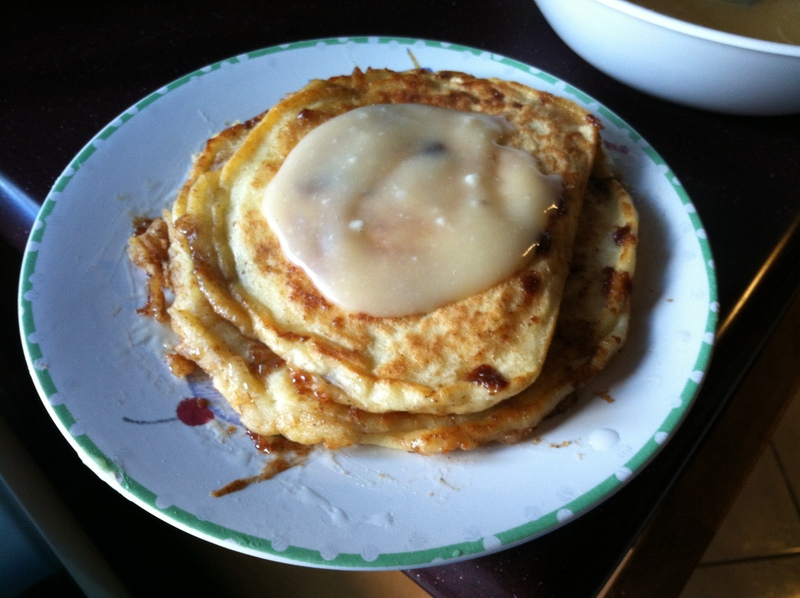 Cinnamon roll pancakes, need I say more? So you all know my hubby is always giving hints about recipes he would like me to make. This time around he left the cinnamon roll pancake recipe on my FB wall so how could I resist? Those drool worthy pancakes taunted me everytime I logged in. I have to admit, as far as recipes go, this one was a bit challenging. But it was well worth it in the end. The hardest part was getting the cinnamon roll filling piped into the pancake when it was on the griddle and knowing the right amount. The frosting looked too buttery to me at first but then I saw how it melted over the hot pancakes so it was buttery for a reason. Oh and it made like a million pancakes, so I would halve it unless you have breakfast guests. So if you are tired of your standard Sunday go to recipes, take your pancakes to a whole new level, and forget the syrup! Heat your griddle to exactly 325 degrees. You don’t want these too cook too quickly, and you won’t want your cinnamon to burn. 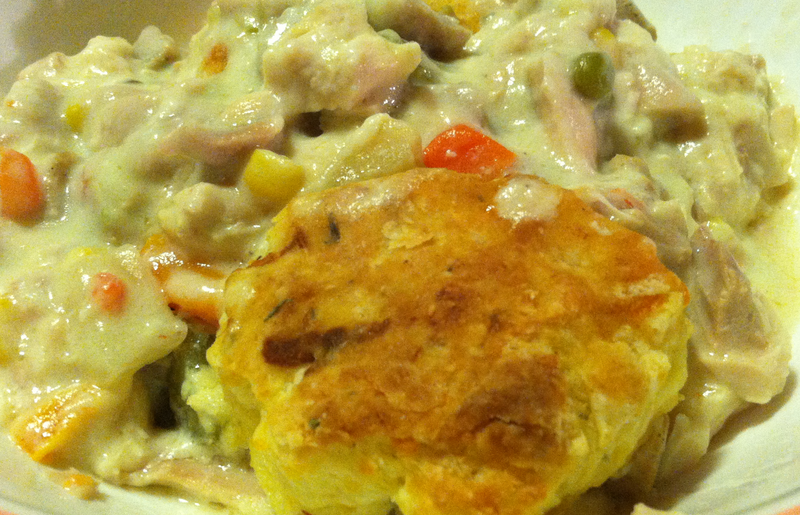 You are currently browsing the What Tara's Cookin' blog archives for March, 2013.